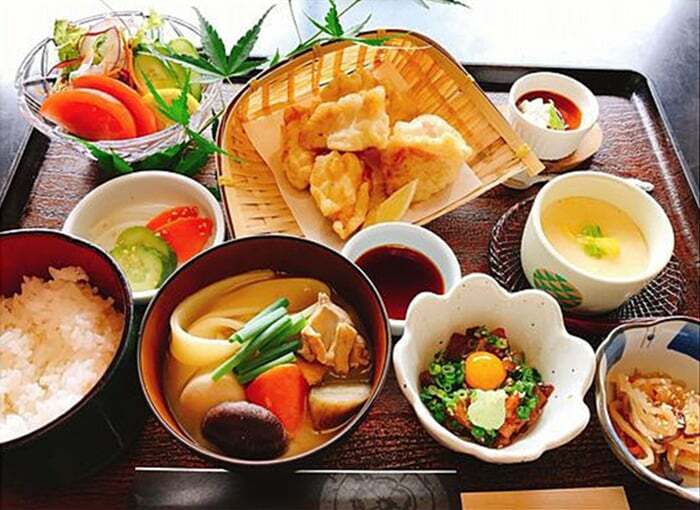 Kaisenjyu (with egg and wasabi), Side dish, Tempura, Japanese steamed egg custard, Rice, Miso soup, Pickles, Dessert. Please enjoy the Oita Local cuisine. ※Ryukyu is a special dish from Oita, which is a sliced fish marinated with special sauce. 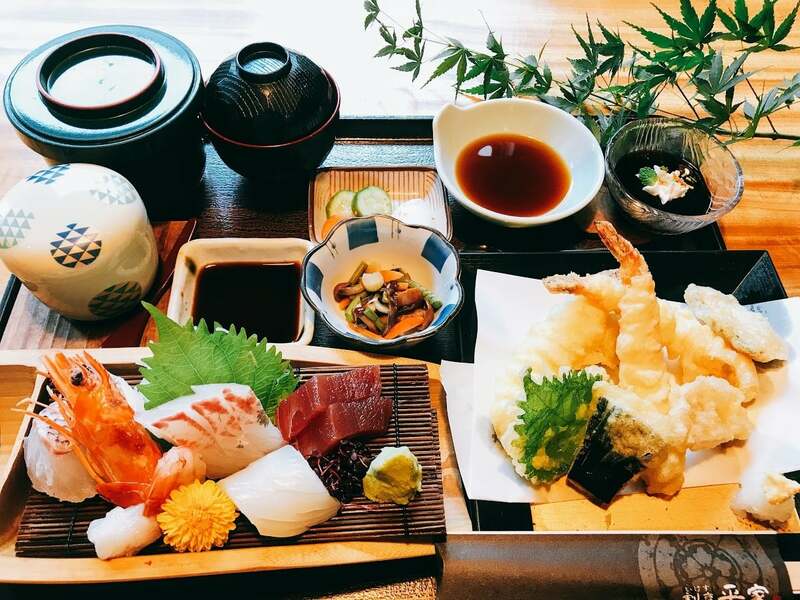 Our classic menu of fresh sashimi and tempura. Enjoy a bowl of rice topped with locally produced raw egg and our original sea bream soy sauce seasoning. Dish of the day, A la carte menu, Sashimi, Side dish, Japanese steamed egg custard, Rice, Miso soup, Pickles, Dessert. *This is not served on Sunday, National holidays, Golden Weeks, and New Year holidays. Please kindly note that we are not taking any reservations for today's special.